My oldest daughter is getting married next month. Her sister and I threw her a bridal shower. 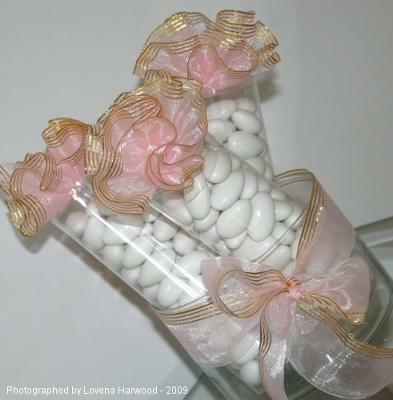 We made candy centerpieces/favors for each table. It was both fun and easy to create!